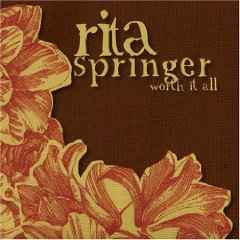 Rita Springer is one of the most gifted worship leaders to arise over the last ten years. Not only is she able to express herself beautifully through her poetic lyrics, but she delivers her message with a passion that is unlike any other. Springer also has the unique gift of improvising songs on stage at the piano. Her vocals are incredibly dynamic and are often compared to Melissa Etheridge and Jennifer Knapp. She is another of the famous "Vineyard songwriters" responsible for such legendary songs as "Make Us a Prayer," "Fragrant Offering," "Moving with the Lamb," "You Said," and "Oh How You Love Me." Rita has been playing the piano and writing music since she was 11 years old. At that time in her life, she found it very difficult to talk to others about how she felt about things, but she could always sing anything to God. She realizes now that the Lord was preparing her to express herself through music and use it as a tool to minister to others. As Springer aged, her involvement in music continued to grow and she recorded her song "Make Us A Prayer" on the Touching the Father's Heart #12-Throne of Grace album. This led to her involvement with Vineyard Music, which then gave her the opportunity to pursue her calling as a worship leader. She started her own label, Kindred Joy, and released two independent CDs before signing with Floodgate Records in 2000. Springer, a resident of Houston, Texas, travels upwards of 35 weekends a year. 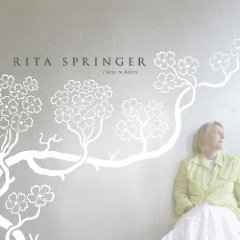 Besides writing, singing, and performing, Rita also spends time with "Fragrant Oil," the women's ministry conference she started in April of 2000. 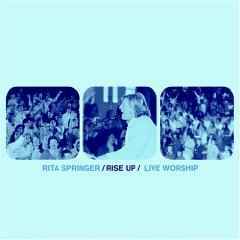 Her latest release, Rise Up, is a live album that captures Rita's passion for unscripted, spontaneous worship and is taken right from one of the conferences. The album was recorded during 5 days of ministry in New Mexico and is as authentic as it gets. No effects, no flashy studio tricks. 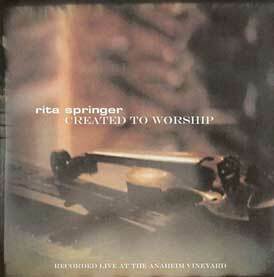 It captures the true, unrefined worship that Rita Springer is so well known for. *Featured worship leader, GMA Worship Night 2 consecutive years. *Written and recorded the title track for the Brendan Frasier movie "Still Breathing". *Her song "You Are Still Holy" was recorded on Kim Hill's Arms of Mercy album and was a #1 radio hit. 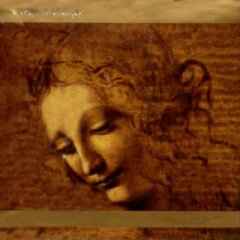 *Included in the Time-Life Songs 4Worship compilation. *Currently in plans to launch youth conferences much like her women's conferences. *Currently in discussion with a book publisher to write a book on worship, for release in 2005. 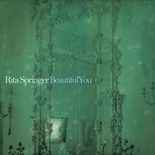 Rita Springer's heart is overflowing with the love of Jesus, and she desires to share it with all who want to hear. "My heart has always been to see people come into a perspective of worship that leads them to lifestyle membership and true ownership in Jesus," Says Rita. "I have learned that He truly is the Best Friend, Father, Savior, and Lover of my soul."